Where do you find charm, opportunity, and expansion, built on a foundation of utmost respect for North Texas history and traditions? Where do you find a town whose convention and visitor’s bureau puts Aged to Perfection on a banner atop the home page? In Grapevine, Texas, the oldest settlement in Tarrant County. Originally settled in 1844 after General Sam Houston and early leaders signed a peace treaty with ten local Indian tribes, the area was known as Grape Vine Springs because of the wild mustang grapes that grew in the area. 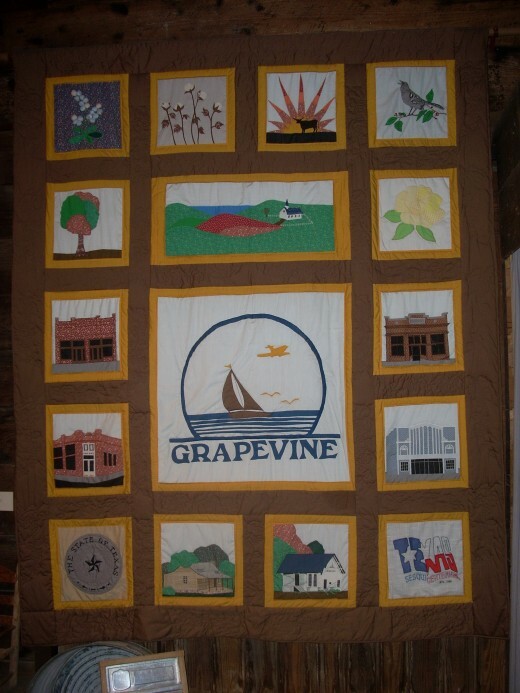 The town was officially organized and named Grape Vine in 1854 (changed spelling to Grapevine much later). 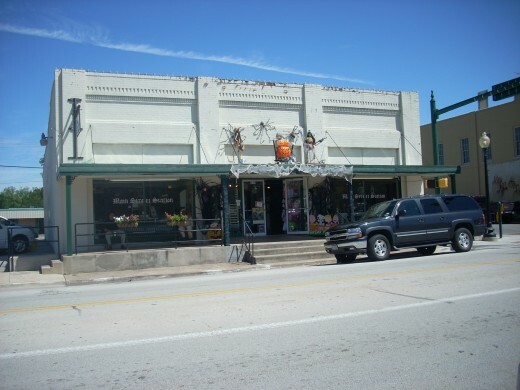 With so many events going on throughout the year, local merchants are well-positioned in this unique historic town on the Texas prairie. Although many stores and markets sell products with a Texas flair, they have not passed up the opportunity to offer internationally inspired products, whether its handmade European style chocolates or items imported from Great Britain. 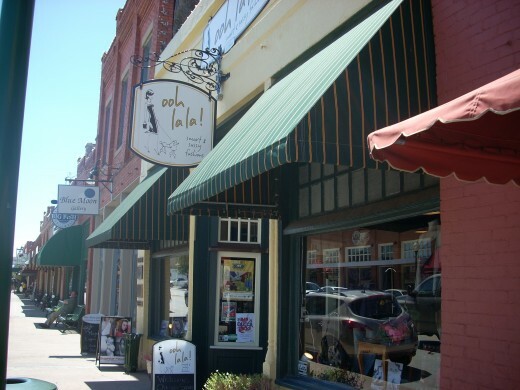 Let's take a closer look at some of the shops in Historic Downtown Grapevine. Below I've highlighted just a few for you. In a town named Grapevine, would you expect anything less than the location of a few wineries? Grapevine not only has a perfect name for a wine industry, but it also hosts the largest annual wine festival in the Southwest, Grapefest, which lasts for four days in mid-September. But if you’re thinking that there are vineyards around here, lots of luck with that! 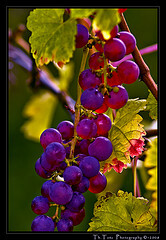 The wineries in town buy all of their grapes from California. The wild mustang grapes that flourish in North Texas are not suitable for viticulture. Having said that, you can look for an example of a great winery right on 120 S. Main Street. 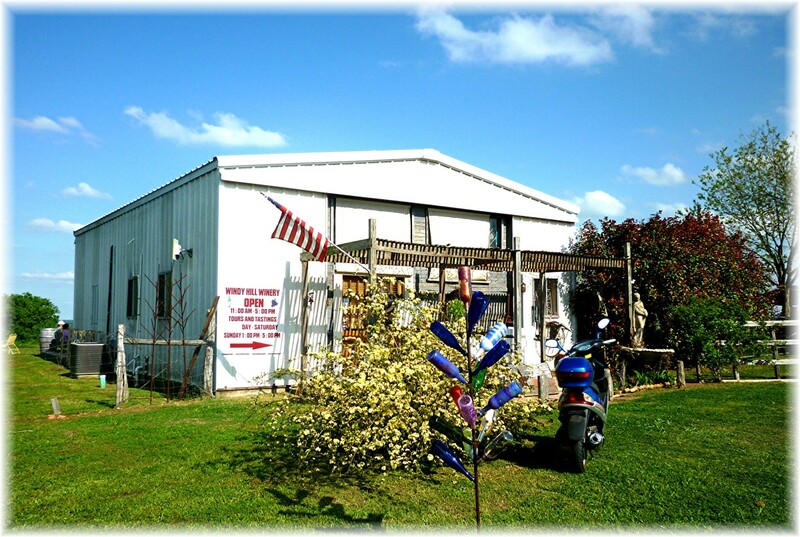 Su Vino Winery is an award-winning, family-owned winery. 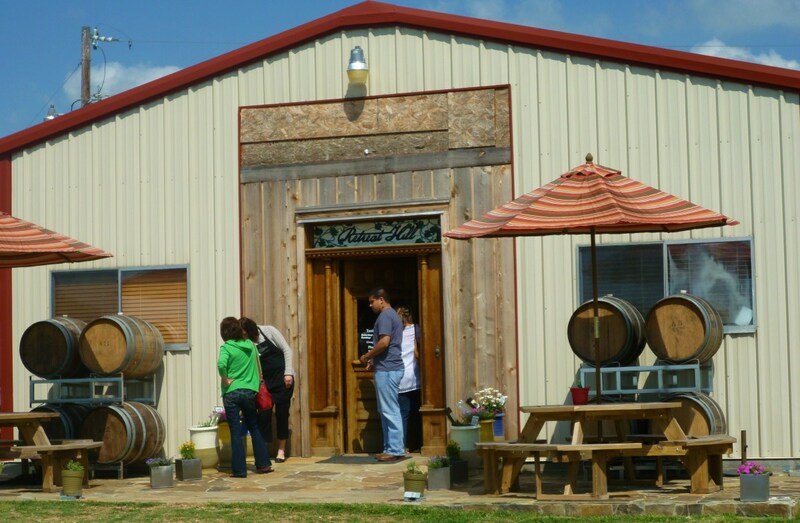 They were the first custom winery located in Texas and the Southwest. In addition to their prize medal white and red wines, try their specialty wines like Porto Cocoa (chocolate port), Peachy Keen, Sunset Serenade, and Almond Champagne. They are a custom winery, and will work with the customer to bring just the right notes for unique blends and varietals. They even let the customer put on the finishing touches in this exercise, including putting in the cork and slapping on the label. 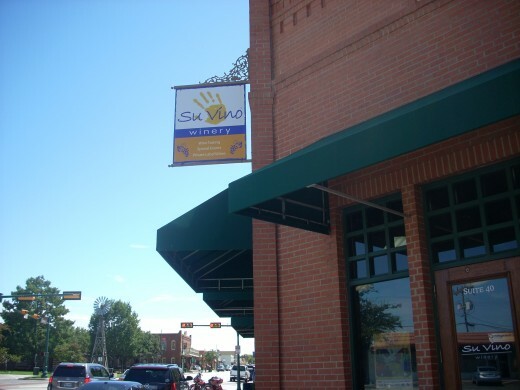 Su Vino holds many wine-tasting events, corporate parties, showers and birthday parties. A wine shop with a unique local presence. 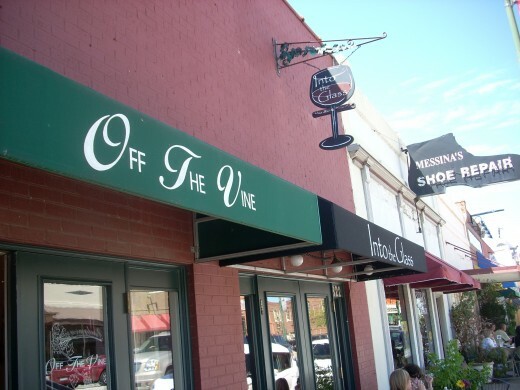 In the 15 years since Off the Vine has existed, they’ve become known for their wine tastings, introduction of new vintages, and cellar services. They carry about 200 labels, and each employee makes extensive notes on the various wines, so that they can guide you to a wine just perfect for you. They say that most of their customers live within 5 miles of the store, so you can imagine that they are like Cheers, where everybody knows your name. 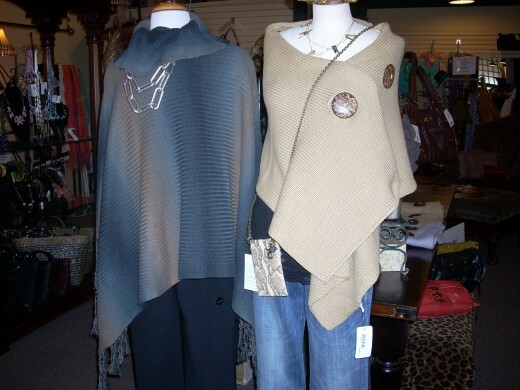 Incorporated in 2003, Gypsy Warehouse invites you to peruse their imported gifts, accessories, and clothing from around the world. Their jewelry is all designed locally in Dallas-Fort Worth by Treska, Inc. and each piece comes with a lifetime guarantee. If your look is ethnic or off-beat, you should check out Gypsy Warehouse. 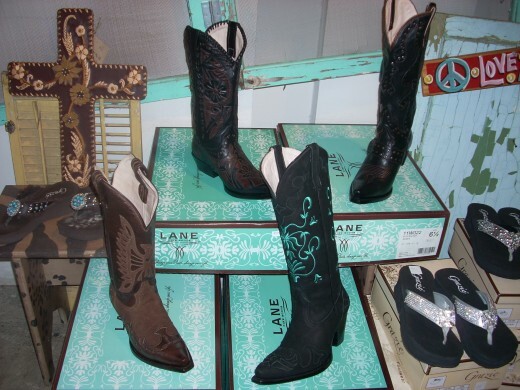 Unique women and childrens’ fashions, cowboy boots, belts and jewelry. Here you can find a light-hearted, young, contemporary expression of everything Texan and western. If you like rhinestones, embroidery and beaded items, look no further. For three straight years, voted the “Best of the Best” boutique for Grapevine, Colleyville, and Southlake. Their philosophy is to cater to fashionable women of all ages. They carry unique clothing lines, shapewear, home décor, gifts, and accessories for those shoppers who want something that demands to be noticed. Boutique creations at ooh la la! 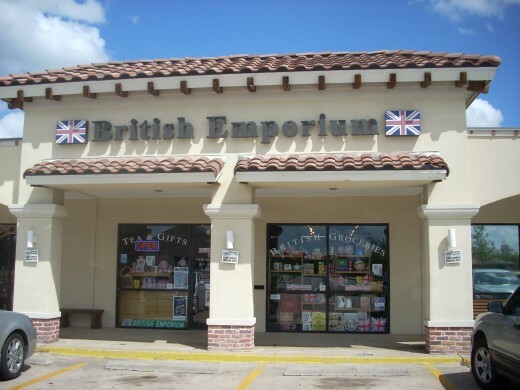 British Emporium offers food and gifts from the British Isles. Here you will find delightful tea, teapots, tea cosies, candies, biscuits, preserves, frozen and canned foods, calendars, greeting cards, and much more. Those homesick for Great Britain drive to the store from all over the DFW Metroplex, and stock up on their favorite groceries. Their store also now stocks grocery items from Australia and South Africa. Just where can you get an ice cream cone for $1? Sweet Indulgence Bakery offers you a soft-serve, swirled cone at this unbeatable price -- very like the Dairy Queen soft ice cream, but lower in fat. The bakery is known for its gourmet cupcakes and custom wedding or special occasion cakes. Naturally, they also serve gourmet coffee, milk shakes, and fruit smoothies. And if you bring your kids, they have toys and light-hearted knickknacks to gawk at near the front of the store while you do your custom decorated cake consultation with the manager. A little bit of everything. A showcase for over 45 vendors under one roof! Each vendor has its own stall and display for their goods. 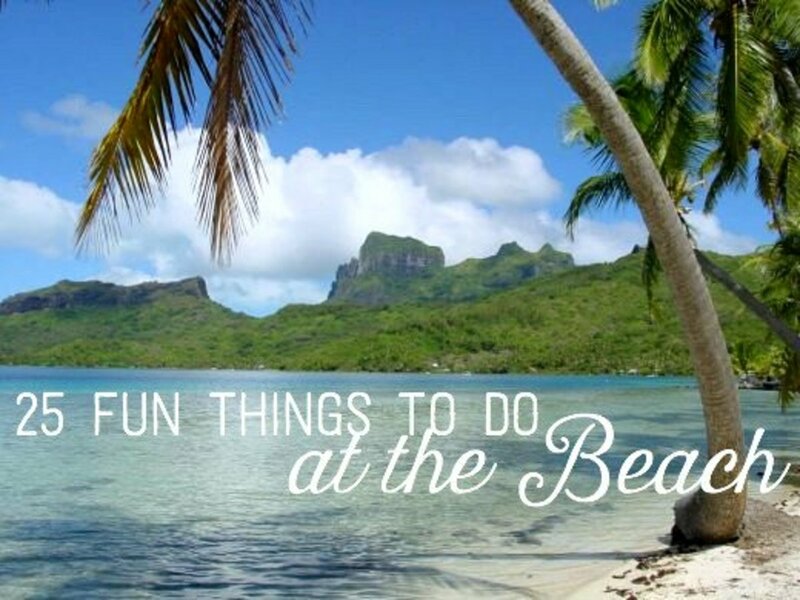 You’ll find unique clothing, jewelry, food items, decorative accessories, and homemade soaps and lotions. The day I was there, they were already gearing up for Halloween, as you can see by the decoration on their store front. An amazing studio with something to offer to the community. They hold glass-blowing demonstrations and give basic workshops to the public. 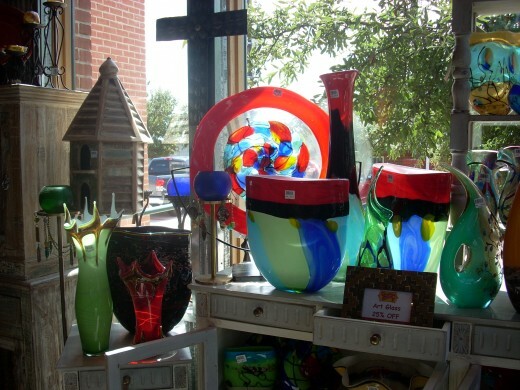 And they have wonderful glass items on display that will tempt you. I bought a glass pendant and a glass pinky ring, and I’m still looking at the ring and wondering how it was made. Located at the middle of the town square near the gazebo. Typically open from March through November. Featuring hand-crafted items, unique foods, produce, and antiques. The day I was there, I bought two bottles of olive oil produced from Texas Hill Country hand-picked and estate grown olives. 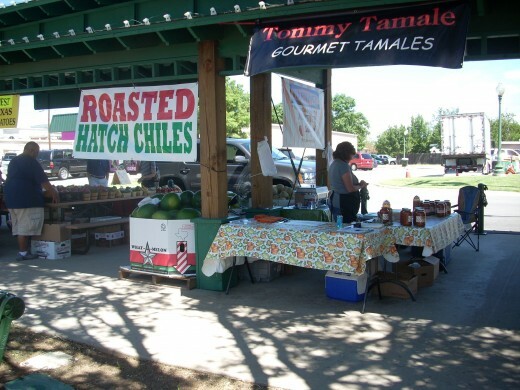 And vendors were selling their homemade tamales and roasted chiles from Hatch, New Mexico. In the last year, our area has been fortunate to have available the Grapevine Visitors Shuttle. It operates seven days per week, and it makes four stops in Historic Downtown Grapevine, as well as stops at the Gaylord Texan, DFW Airport, Grapevine Mills Mall, and several prominent area hotels. The shuttle makes a wonderful form of transportation to many of the exciting sites in the area, and offers great convenience to visitors who are afoot. If you drive over in your own car, you can find free ample parking near the Visitor's Center and train depot. Along South Main Street, if you snag a spot parallel to the curb, it won't cost you anything, as there are no parking meters to feed. When following 121 North, get off at the Main Street/Ira E. Woods exit, which goes to SH 114. But instead of turning west to the freeway (114), simply stay straight, and follow the road into downtown and South Main Street. Azure, I like it too. I fully intended to go to Grapefest this year, but other commitments made this impossible. I love Grapevine! I wander over that way every chance that I get! Thanks for pointing out a few new places for me to visit! Voted Up, useful and interesting, as always! Love your hubs!! TXtraveler, thanks for coming by. It is indeed a fun place to spend lots of dough. Thanks for the encouraging feedback. It was fun to do the actual shopping excursion in order to write this! This is an absolutely brilliant hub. It's fantastic how you've combined history, background, images, and videos with information on the top shops. Thanks so much for writing it!